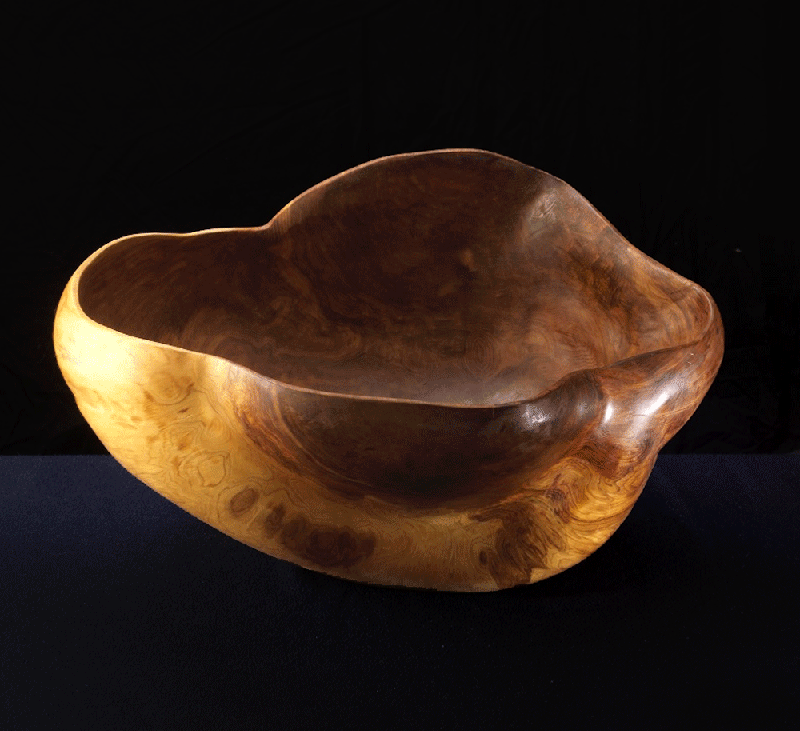 This beautiful shaped deep bowl reminds one of a gourd. 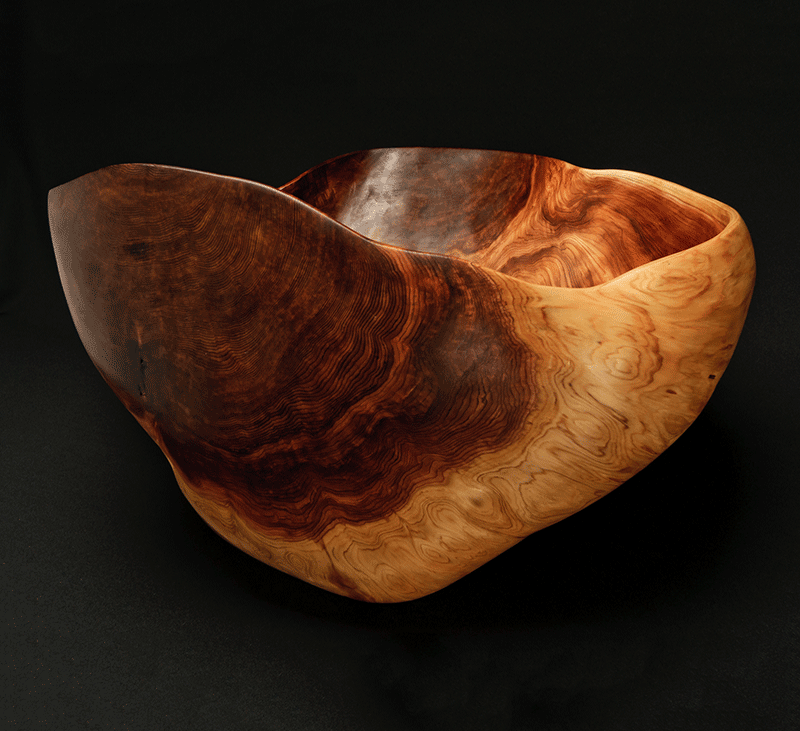 Its colour and grain pattern are very rich not only because it is made from a burl, but also because of the contrast between the cedar’s sap wood (yellow) and heart wood (red). The cedar itself is very old, and well seasoned, so its light to handle. Finished with Tung oil and beeswax.